Any caring doctor concerned for the welfare of his photography geek patient should prescribe a day return to Greenwich. 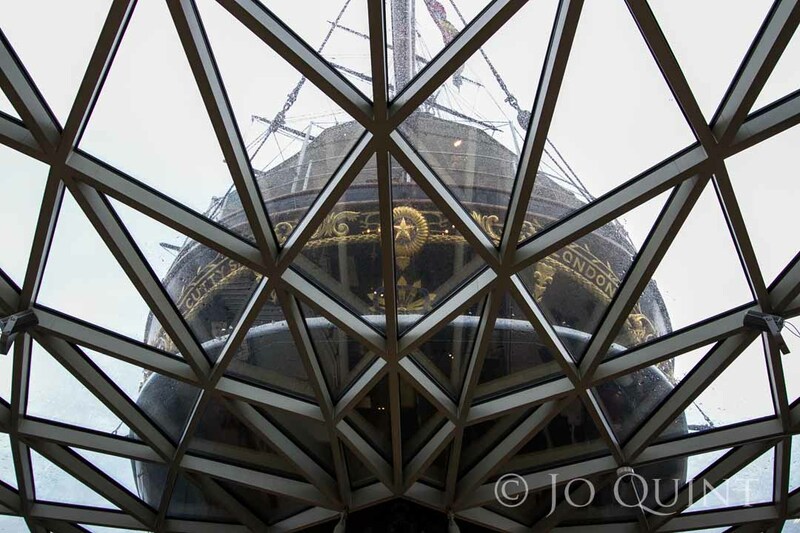 With the Cutty Sark, the Royal Observatory, the National Maritime Museum, the Planetarium and Greenwich Market, it’s like giving a high dose of photo opportunity overexposure therapy. Which is right up my street. And so it was that together with four of my photography course classmates and tutor we made our way to the big smoke for some photography geekery. I mean therapy. Within minutes I was caught out. ‘No photography please madam’. Expecting photography geeks (I hate the term ‘enthusiasts’ – it’s such a geeky word) at a photography exhibition not to take photos is just daft. 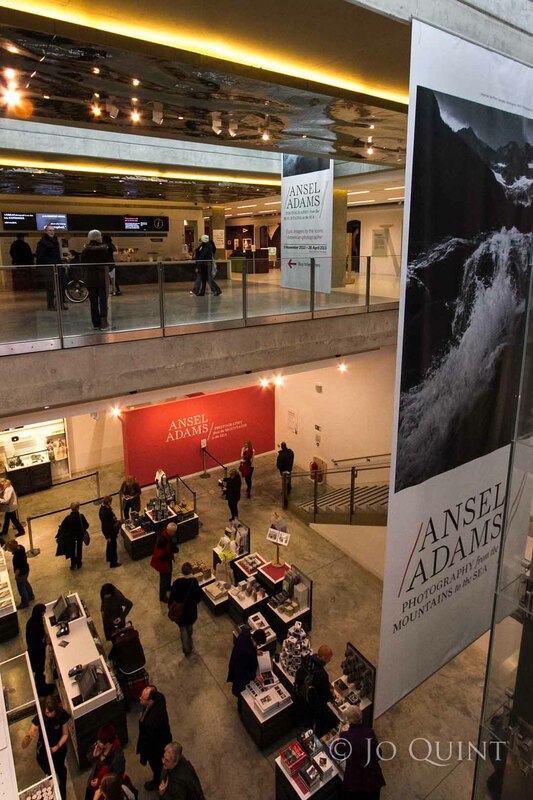 Especially when the exhibition is Ansel Adams, one of the most commercialised collections of landscape images in the world. Not only was he a pioneer in photography, but inadvertently led the way in terms of tourism guides and travel inspiration. If you want to sell a location, think Adams. The exhibition is the photographic equivalent of a blow-your-mind Wish You Were Here from the mountains, waterfalls and coastline of his native California. What harm’s my grainy little lopsided snapshot on my phone going to do? I know, I know, it’s a slippery slope – and I should probably buy a print in the foyer – except I can’t email that to my husband to show him where our next holiday needs to be. Maybe I’ve just discovered another commercial opportunity – images to buy for your phone – ‘as if’ you’ve taken them yourself. Either way, I didn’t manage to sneak a shot, so we’ll just have to book a flight instead. The exhibition itself was superb. Over 100 original prints on display, a mini-documentary and film interview with Ansel (people sat on the floor and squeezed into corners in the packed cinema room and actually stayed, engrossed, for the duration) and an interactive collection of public photos inspired by the work of Adams. Curated through Flickr and Twitter, Flickr users were invited to submit ‘photographs of ‘water in all its forms’, with exhibition visitors invited to live-vote for their favourite images using touch screens. From an experience point of view (and with my marketing hat on), this was an especially nice touch. Needless to say, Adams’ images are stunning and timeless. Composition, lighting, exposure, focus, drama, scale, subject. Add to the fact that many were taken in the early twentieth century – and all were taken with film camera. All the things you appreciate when working with a digital camera with instant results and the capacity to throw images away and start again. I came away inspired, if somewhat daunted by how much I’ve got to learn. Heaven for playing with my new wide angle toy (a Canon 10-22mm), the Cutty Sark visitor centre is crammed full of photo opportunities. The ship sits moored inside a glass roofed visitor centre. Look up and you can see the ship’s mast. Look down and you can see her copper hull. The glass lets through lots of natural light, whilst the metal framework of the centre creates lots of lovely lines. I got the impression there’s lots to learn too. To be honest I didn’t really take much in – I was like a kid in a sweet shop with my new toy and I wasn’t about to get bogged down learning about the history of tea. As fascinating as I’m sure it is. It was a wet and dull day and so not brilliant for outdoor shots. Nor did we get the chance to visit the observatory or a mooch around Greenwich Market – which looks perfect for colourful street photography. All of which gives me the perfect excuse (if ever one were needed) to go back on a clear sunny day for a further dose of photo therapy. Care to join me?